I’ll soon be posting some news about a forthcoming LP project I put together for Dust-to-Digital called “Kassidat: Raw 45s from Morocco.” In the meantime, to prime the pump and grease the wheels, I figured I’d do a post or two of Moroccan 78s. Morocco has an interesting diversity of folk music styles, most of which tend toward trance-inducing, hypnotic grooves. There’s the rwais (itinerant musical troupes from the Marrakech area), the female led ‘aita troupes of the central region, the Sufi village ensembles, the music of the Gnawa, Chaabi, and more. The gunbri is a lute that comes in several forms and is used in several of these genres throughout Morocco. The Gnawa are well-known for their large bass gunbri, while the rwais use a smaller, more banjo-like gunbri, sometimes called lotar. A third variety is used in central Morocco and the Rif mountains. It has a distinctive pear-shaped body, and is carved from a single block of wood. It’s often paired with the bendir, as in this recording, by the famous comedic duo of Kachbal and Zaroual. 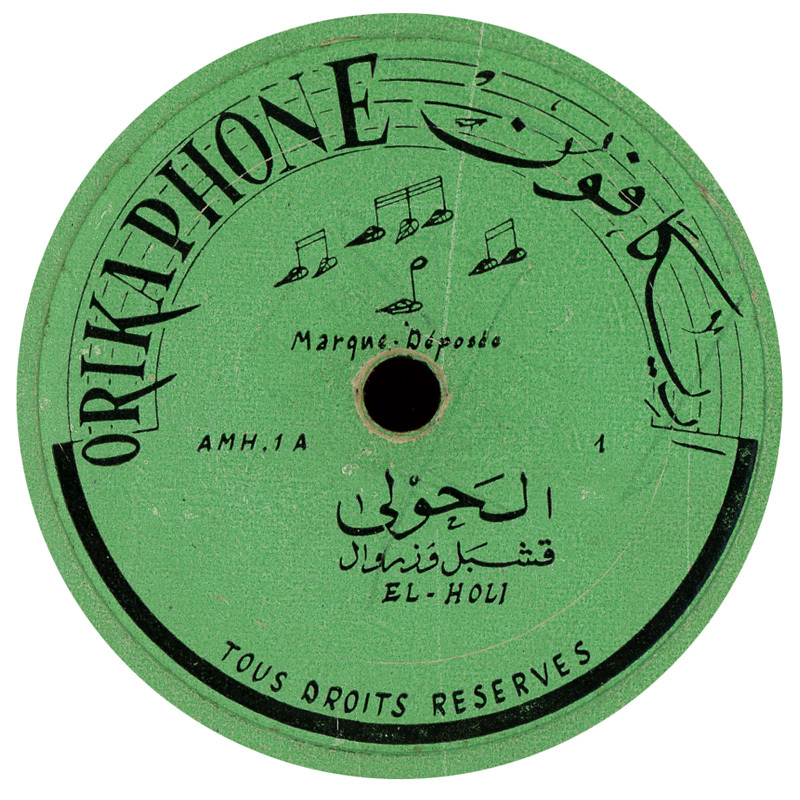 Moroccan music was widely recorded during the early 20th century, but this type of gunbri seems to have been rarely recorded during the 78 rpm era. It wasn’t until local record companies began to prosper after the country gained independence, in 1956, that many 45s of this type were released. In fact, Orikaphone was one of the first of these local Moroccan labels and this record was released on 45, as well as the 78 shown here.